Nashville Chipmunk Removal, commonly known as Ground Squirrels, are known for their ability to dig borrows or holes around your home, garden, or mulch beds. Chipmunks are easily distinguishable from their black and white stripes running down the top of their back. Chipmunks digging under the foundation. Chipmunks burrowing holes around home. Chipmunks have dug so much, the home has structural cracks appearing. Chipmunks chewing electric wires under home. Chipmunks pulling down floor insulation in crawlspace. Chipmunks getting into foundation vents. Chipmunks getting under AC unit. 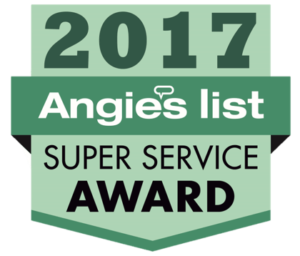 Animal Pros provides safe, fast, and effective chipmunk solutions to prevent further damage to your home or property. Chipmunk control around the Greater Nashville area is a step above a normal removal procedure. Chipmunk control is needed when dealing with a over population of animals in one of these cities listed. Call us today if you believe you have a chipmunk infestation or are in need of chipmunk control. Chipmunks problems or chipmunk infestations can quickly escalate when digging is present around the foundation of your home. Excess chipmunk digging can lead to structural problems for your homes foundation, walls, retaining walls, deck, patio, or slab. Chipmunk damage is easily distinguished as chipmunks will have multiple burrows 2″-3″ in the ground, and those burrows can extend more than 15 feet in length. The easiest way to find out if a chipmunk burrow is active, is to cover the entrance with leaves or dirt. If the burrow is active, it will be dug out the next day. Diet: Omnivorous, eating a majority of plant matter, but will consume animal matter. Breeding: Starts in April and May. Other Names: Ground squirrel, Ground Rodent, Striped Squirrel, and Striped Rat. Interesting Facts: There are 25 species of chipmunks, and 24 of them live in North America. Chipmunks can store food in their cheeks. One chipmunk can gather over 100 acorns in a day. 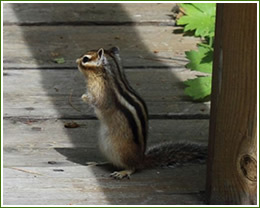 Chipmunk in large numbers can do so much digging around a home, it can damage concrete and crack foundations. Chipmunks are small brown furry rodents up to 7″ in size, weighing only a couple of ounces. Chipmunks are known for stashing their food, as they prepare for winter hibernation and will start stock piling excess food in late summer and early fall. Chipmunks are omnivores, consuming mostly nuts, berries, fruit, and seeds, but will consume insects. Chipmunks will have stripes of black, white, and tan fur running down their back. Because of chipmunks small size, control of chipmunks to the average homeowner is not easy. Most over the counter purchased traps will not be sensitive enough to effectively trap a chipmunk, or will have small enough mest once trapped to keep one captured without escape. Follow these steps to get rid of chipmunks and stop damage. Eliminate Ground Cover – Chipmunks will be attracted to yard debris and over growth. Eliminate Food Sources – Remove all bird feeders and do not feet pets outdoors. Do not feed another wildlife as this will attract chipmunks. Proper Trapping Methods – Trapping chipmunks on the interior if under home, or exterior if in yard, and contacting a professional trapper for removal that utilizes professional equipment for chipmunks, including sensitive traps with small mesh wire traps. Exclusion to Keep Chipmunks Out of Your Home- If chipmunks are getting in to your home, under your home, or tunneling under your foundation, repair the openings to seal them out. Fill In Holes In Your Yard – Holes in your yard from chipmunk burrows can be easily filled in with dirt, mulch, gravel, or concrete, and should be dependent on what material is around the area. Burrows around the foundation should be filled with concrete.